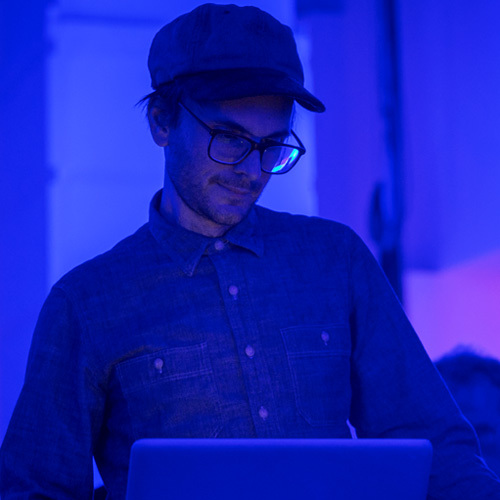 Ben Vida is a Brooklyn-based artist and composer who mainly works with electronic compositions that utilize analog and digital synthesizing technologies, with a focus on aural phenomena and sound localization. 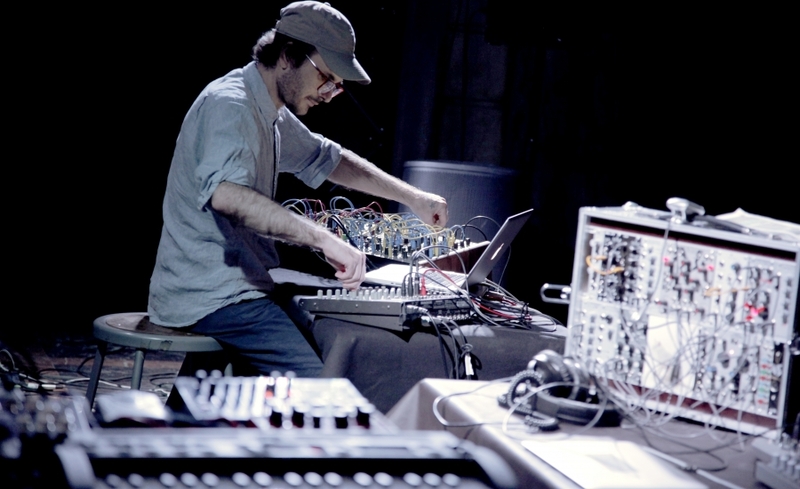 He has been an active member of the international experimental music scene for the past two decades with a long list of collaborations, bands and releases on labels such as PAN, Alku, Thrill Jockey, Drag City and Kranky. Just recently released on Shelter Press, his latest LP ‘Slipping Control’ was originally composed to act as a score, a sound piece and as raw data for electronic control source. We talked to Ben about his unusual rhythmic patterns and his interests in experimental music, which he also illustrates with a rather unconventional mix especially composed for Sounds Of A Tired City. How did you get in touch with electronic music and the world of synthesizers? It was just a natural progression – as my interests in finding new methods of composing continued to develop, so did my interests in producing new sound materials. So much of the music I was producing before I started electronically synthesizing sounds was focused on blending different acoustic sonorities to arrive at a new single summed voice. Using synthesizers was just another approach to that way of working – just starting even closer to zero, to the simplest sound source – a sine wave. As I became more involved in using modular synthesizers I started to consider other compositional processes and possible hybrid systems, this lead me to use Max/MSP and then to different soft synths. Recently I have been using analog envelopes translated through midi to control FM8 and getting some really strange results! I still occasionally write for acoustic instruments and I have been very interested in writing for the voice so I view the division between acoustic and electronic musics to be very porous. How would you introduce your art to people who are not so well oriented in the world of analog modular synthesizers? How would the ‘Beginner’s Guide To Ben Vida’ look like? Well, the electronic music I have made over the last few years is just a portion of the work I have produced over the past twenty or so years. It may or may not shed some light or be of interest to people who are familiar with that stuff to hear the earlier records I made for Thrill Jockey, Kranky or Drag City… but maybe! A simple introduction is just that I am an artist and composer living in NYC. Before concentrating on your solo project, you were involved in numerous different groups, performing in various genres with The Cairo Gang, Everyoned, Joan Of Arc, Lake Wandawega Resort Band, Town and Country etc. How did your relationship with real instruments change throughout the last decade, what was that made you shift towards pure electronic music more and more? I have pretty consistently kept a solo practice running parallel with my collaborations. I released a solo record of acoustic guitar pieces in 2000 and while Town and Country was still active I was making the solo Bird Show records. I really like the opportunity to work with other people on their music. I spent years playing guitar with other folks and more recently find myself getting hired on as an electronics player. Last year I toured playing modular synth in Will Oldham’s band and have an on going relationship working with Tyondai Braxton. My shift from being an instrumentalist in the more traditional sense to working mainly with electronics has mostly to do with how my relationship to composition has changed. As I have become more interested in systems and generative musics I have gravitated towards the tools that work so well to produce those kinds of compositions. I‘m also very interested in aural phenomena and psychoacoustics. I find that the accuracy and amplitude of electronic sound sources best manifest those sound materials. If in the past, harmony or timbre acted as a compositional focal point in my work, in recent years these kinds of expanded aural phenomena, advanced spatialization and sound materials have become the sonic building blocks that a piece is derived from. 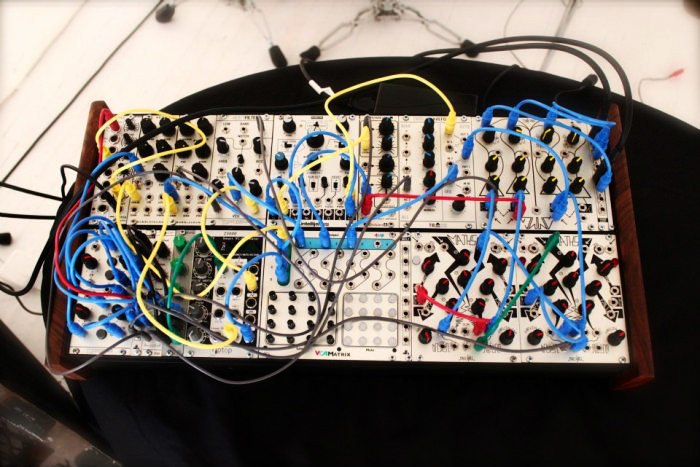 When it comes to modular synthesizers, who made the most memorable impression on you? Do you have any role models from the past or the present? I just like whoever is doing the most progressive and advanced stuff. I have no interest at all in new artist who make nostalgic synthesizer music. I want to hear the most cutting edge bonkers stuff out there. So often this kind of gear is used to make music that sounds like it was produced 40-50 years ago – oof. Of course there are a bunch of folks making wonderful and challenging contemporary music using synths (and violins and samplers and…) but really it is not the tools that interest me as much as it is the ideas. Do you have a favorite type of synth? If yes, which one is that and why is it so special to you? I don’t really feel dogmatic about hardware or software; I just want to use the best tools for the job. The ideas often come first and the gear follows. I’ve been using a eurorack modular system and like it. It’s kind of affordable and easy to travel with. But I like to use the computer alone too – using a soft synth and max/msp is as inspiring as anything else. I think figuring out intricate hybrid systems where digital and analog systems are communicating with one another is really exciting too. A few years ago I was a composer in residency at EMS in Stockholm. There I used their Buchla 200 system. It was really interesting to get into the thought system and production flow of that synth. It felt very much like dialoging with the synth maker. I liked taking what I learned from using that system and applying it to the other systems I use. After four years of studying you’ve recently graduated from Milton Avery Graduate School of the Arts at Bard College in New York. How would you summarize these ‘student years’, what made you decide to go back to school after so many years of individual experience? I enjoyed going through that program. I was surprised to find myself back in school – it has been maybe 15 years since I finished up my undergrad studies in music. I didn’t want to go back to school for music and Bard offers a very interdisciplinary critique based kind of education where no matter the department you enter the program in your exposure and interaction is with faculty and students from all disciplines. I found it refreshing to discuss form and content with artists engaged in other mediums. In a multidisciplinary situation everybody is bringing different and unique understandings to shared questions. I felt very glad to develop more language around my work. I also started to write about both my own and other people’s art. This has been very significant for how I think and go about things. That the language can help to flesh out an idea before any sonic materials are produced created an important shift in my practice. Your latest work ‘Slipping Control’ consists of 21 bits and pieces of playful synth fragments combined with vocal elements, and it was released this spring on the French experimental publishing platform Shelter Press. I suppose this was never meant to be produced for home listening, as last year you already had an audio-visual solo exhibition with this project in Manhattan, New York. What do we have to know about this project? What is the concept behind it? ‘Slipping Control’ is an ongoing project where I use sound poetry derived vocalizations as the control source to create electronic compositions. It is a project that manifests in a number of different outputs or mediums. The show I had at AVA gallery in Manhattan consisted of a video, a sculpture and a wall hanging. 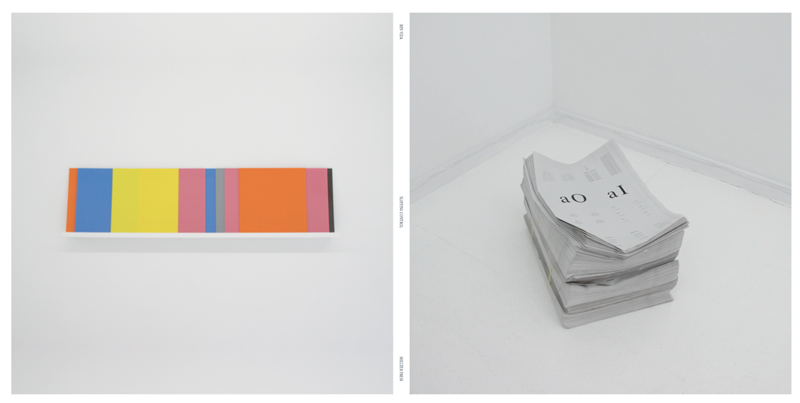 The LP on Shelter is the audio version of the installation at AVA and also the ‘catalog’. It is interesting to me to use the same input (the sound poem) to realize a number of discreet outputs (video, sculpture, LP etc). I continue to refine the live version of this piece. It’s an intriguing way to work with vocalists. Right now I am working on a new solo version of the piece where I act as the vocalist. I’m finding this to be challenging both as the composer and as the performer, which is something that I have not really experienced since the Town and Country days. How did you come up with this special composition of vocals that we can hear in your work? They are extremely well implemented, and being as rhythmic as they are, they also kind of function as some kind of instruments. I wanted to create a text that projected rhythm right off of the page. I wanted the scansion of the text to prompt the performer into a very rhythmic and percussive performance. Both Ty and Sara had different interpretations of the text but both delivered wonderfully percussive readings. I didn’t perform or voice the text as I was writing it. I just let the look of the text on the page inform the decision making. After working on the poem for some time I finally vocalized it and was very happy with the results. My intention from the start was to make an electronic music record that was focused on rhythm but where the rhythms were always failing – you know, dragging, speeding up, dropping a beat etc. I wanted to keep things off balance. As great of a job as Ty and Sara did performing the score they inevitably needed to find places to take a breath or swallow or readjust in one way or another – this resulted in producing a very organic instability in the rhythms. 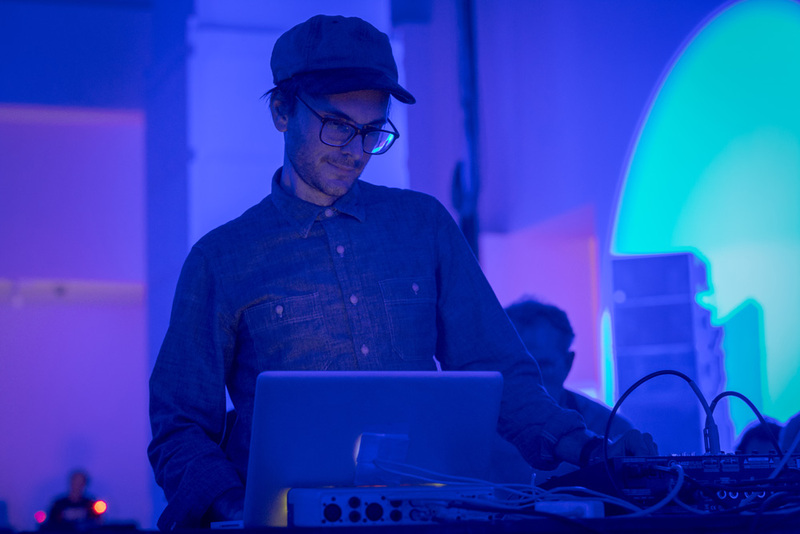 Practically you’ve been performing all around the world with artists such as Koen Holtkamp, Lawrence English and Hisham Bharoocha, had numerous artist residencies and audio-visual installations. How do you think the visual part emphasizes the sound in your case? Oh, the visual is just an extension of the aural – I think of it all as composition. I got interested in working on pieces that weren’t purely aural because I started to have ideas about composition that were better resolved in mediums other than sound. I just really like to work all the time and having the option to change the sort of medium or venue I might work or present in has lead me to new questions and concepts for new pieces to work on. Whether the visual parts emphasize the sound or not I am not sure, but the interplay between sound and vision can certainly complicate both senses. What are you working on right now? Any new installations or performances that we should look out for in the near future? It’s a busy time right now which is exciting and I feel fortunate to have some nice opportunities coming up to present both art and music. The collaborative performance project I have with Sara Magenheirmer and Michael Bell-Smith called ‘Bloopers‘ is in residency at EMPAC in Troy, NY this year and will debut a new work there in December. I am also going to restage in Europe my piece ‘Damaged Particulates‘, which was originally commissioned for Unsound NYC, it utilizes these great direct-bass tactile speakers called SubPacs. In early 2015 I will be in LA working at 356 S. Mission presenting more iterations of both ‘Damaged Particulates’ and ‘Slipping Control’. What kind of music do you listen to at home – besides your own work? Any special recommendations from this year? Like everyone else I listen to everything. With new music I usually just hear what friends send me. I’ll often listen to records from the labels I work with or musicians that I collaborate with will send me things – I am always interested in hearing new music from friends. I still listen to all of the music I liked as a kid. I will go through phases where I only want to listen to Bob Dylan or Miles Davis. All of the Raymond Pettibon ‘Black Flag’ album covers. At twelve years old these cassettes represented the outer-limits of my understanding of the world. 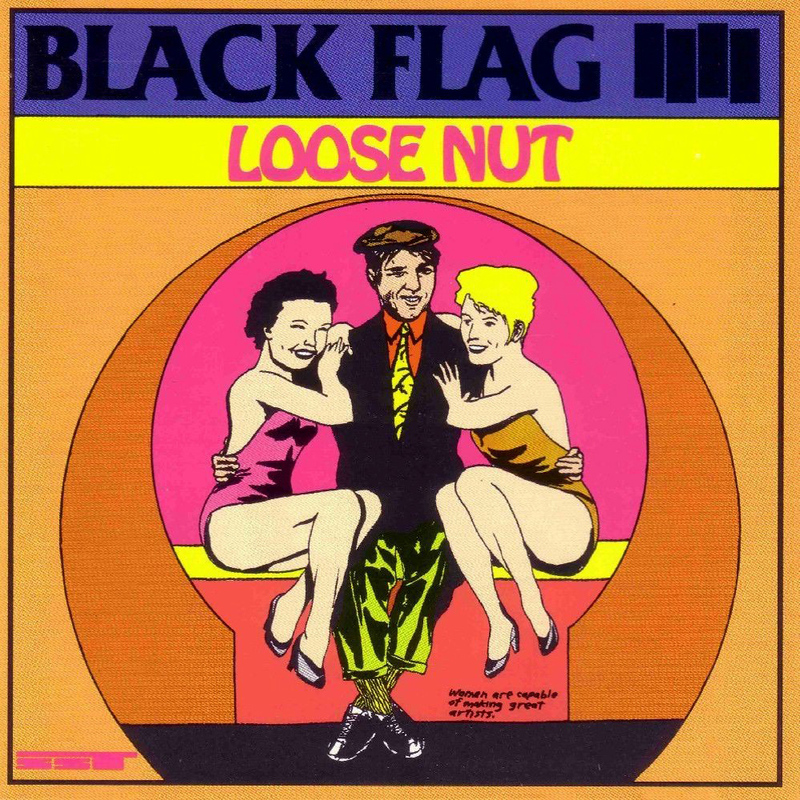 Listening to ‘Loose Nut’ and ‘My War’ I would stare at the cover and just wonder what was going on with these people that made those kinds of sounds and drawings. It all seemed so illicit! Buying ‘Loose Nut’ was one of those moments – kinda like seeing Derek Bailey for the first time or hearing Morton Feldman’s music – my understanding of things got seriously complicated. Mark Fell, Roc Jiménez de Cisneros (EVOL) and Richard Sides. hello, where can we find a tracklist for this mix ? it’s delicious but mixcloud won’t display the track references! thanks!